, said the political spokesman for the cleric Moqtada al - Sadr , on Thursday, said Saturday the last day of the life of parliament after testing the political vision by not achieved a quorum in today 's session. 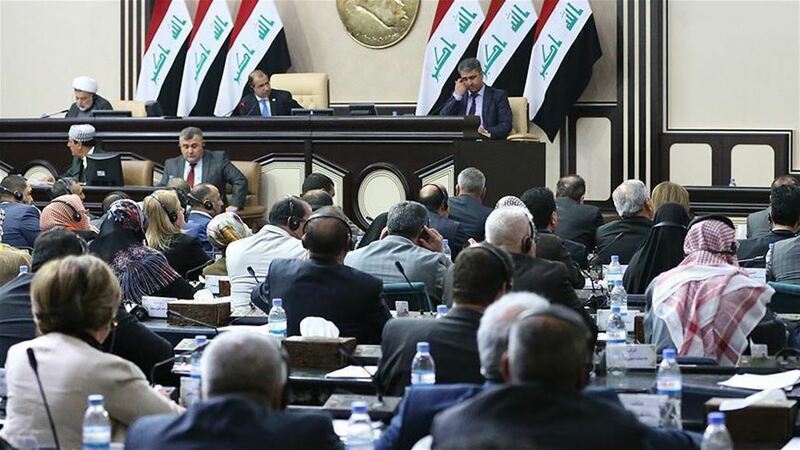 Said Jaafar al - Moussawi said in a statement received Alsumaria News, a copy of which was "due to the proven political vision by not achieved quorum for the session today, so it is on Saturday approved the 30th of June this is the last day of the life of the House of Representatives." Moussawi said that "on this occasion, we congratulate the Constitution and all the political blocs that have committed and maintained non-violation," calling for "those seeking to violate the good and change." It was scheduled to hold on Thursday, an extraordinary session of the House of Representatives to discuss a number of laws and the adoption of the law to extend the life of parliament, but was postponed to another notice because of the lack of quorum.